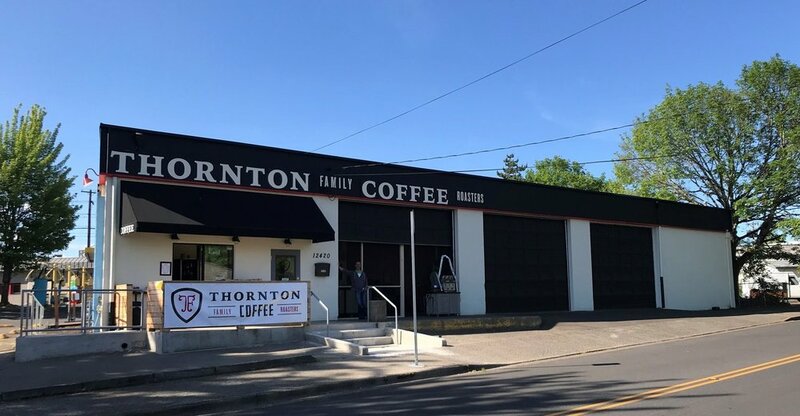 Come check out our roasting plant at 12420 SW Millikan Way, Beaverton, Oregon, 97005, where you'll find our walk-up retail window attached directly to our tasting room and coffee lab. There we serve hand crafted espresso beverages and freshly brewed drip coffee, and proudly offer a variety of baked goods from Delectable Baked Goods. You can connect with us at our walk-up window to purchase roasted coffee from our selection of seasonal single origins or blends - just don't be surprised if you end up being invited inside for a tour of our roasting plant and lab. After all, there's nothing like freshly roasted coffee!